Animal prints never get old! I love how these zebra nails turned out. Let's start. 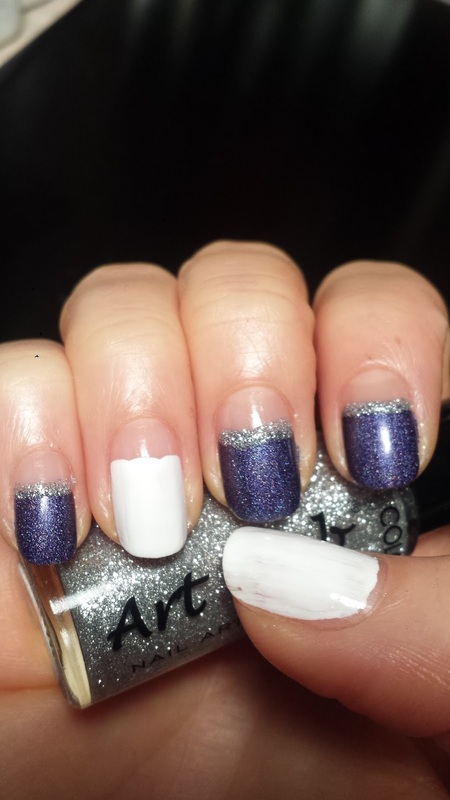 On most of the fingers, I painted the base color almost to the back of the nail but purposely left a gap so there was a bit of bare nail showing. 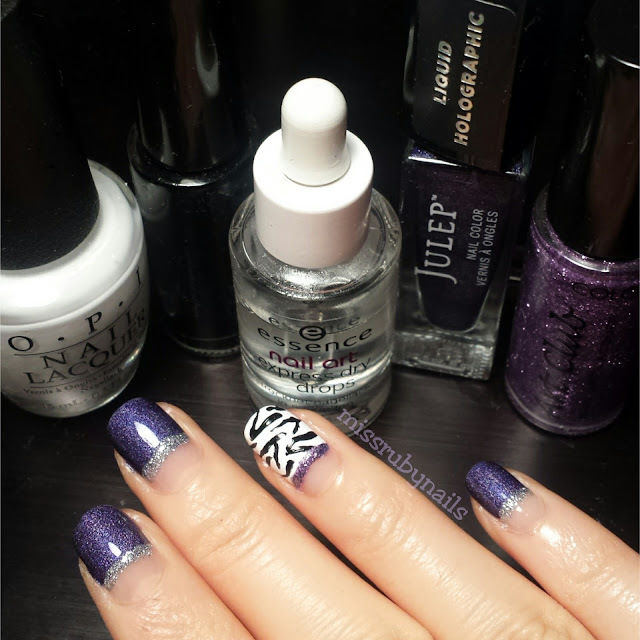 I rimmed the purple holographic polish with a silver glitter in a way that I could "hide" the uneven seam line. 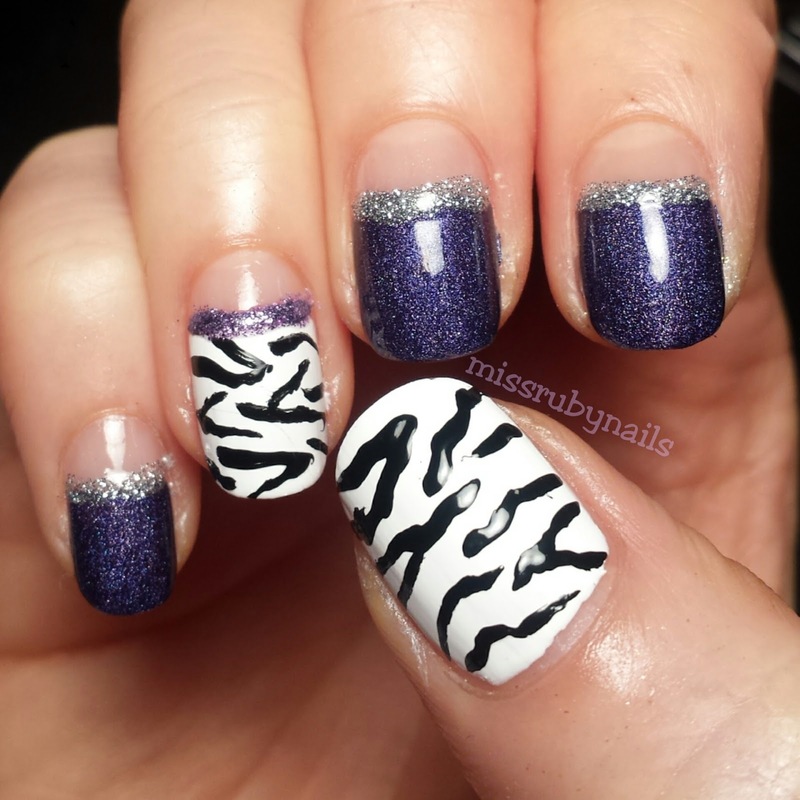 On the white nails, I painted the zebra pattern with a black nail striper. 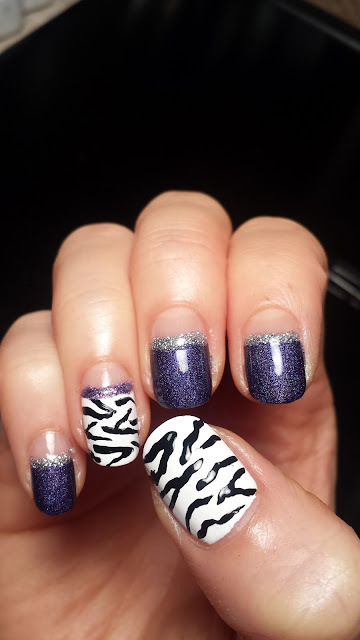 The zebra print is basically squiggly random lines - easy! The result turned out pretty nice huh?